I quite enjoyed The Walking Dead, it lived up to the hype, but only just. The first three episodes were terrific, the story really sucked me into the game. Character reactions were very believable, and the puzzles were fun. The last few episodes seemed a bit rushed, and the new characters didn’t really gel with me. The ending, while indeed an emotional moment, for me didn’t have the same emotional weight as Duck’s death. Still, it has been my favourite story game for a long time. Lee, I’ll miss you! 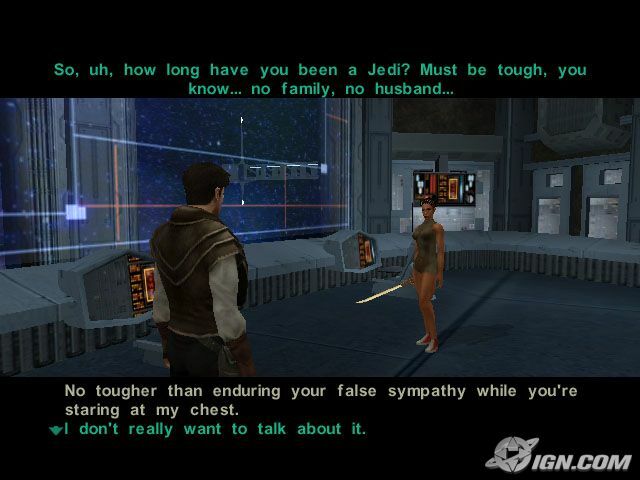 Next stop, STAR WARS: Knights of the Old Republic! Even though I haven’t destroyed the blimp yet, I’m calling a day on Luftrausers. It has been a lot of fun, but I’m just not up for the extra grind to get the last couple of achievements. Onwards to The Walking Dead!